What’s the best way to operate in the world – all by yourself or with a team of supportive pals? That Fruit Is Mine! 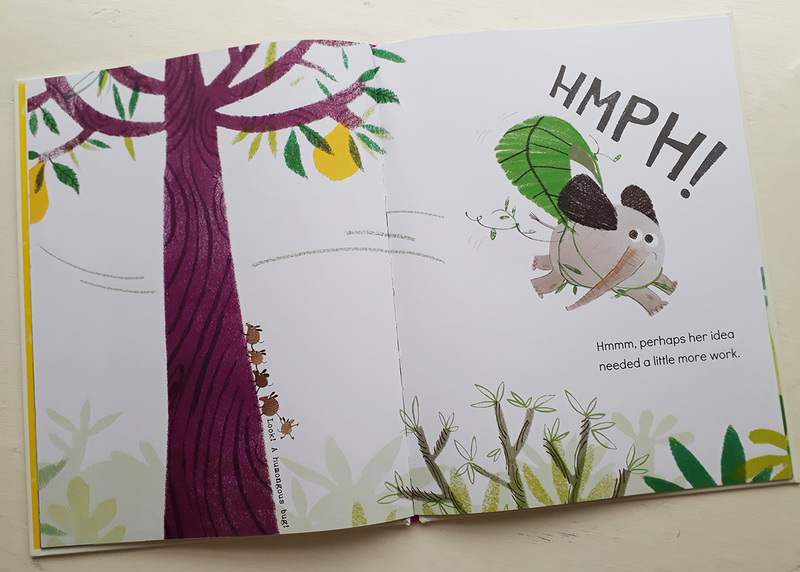 features two sets of family/friends who have different views of how to achieve their goals, and when both of them are after the delicious exotic looking fruit on top of the ‘new tree’ in the jungle a race is on to get to the top. 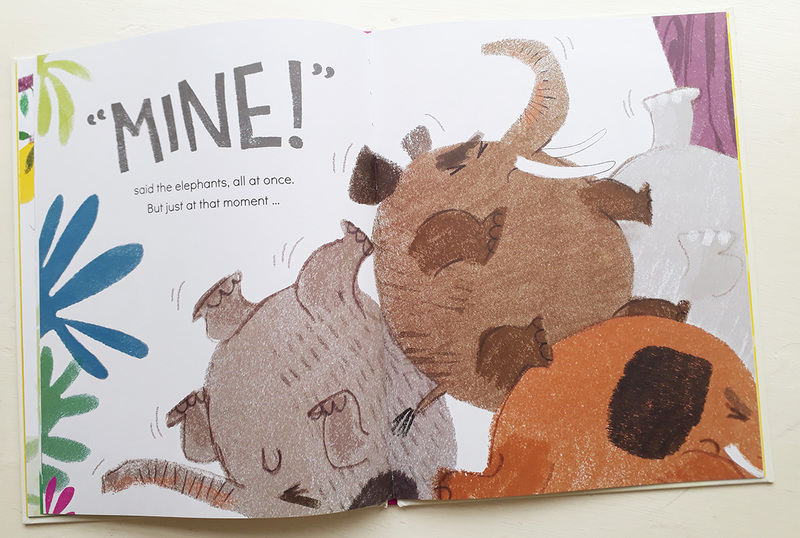 Allepuz has created a fun story, and her herd of elephants are characterfully depicted in their thwarted attempts to get up the tall tree independently of each other. Consumed by their efforts, they don’t spot the little group of mice who have more supportive ways of getting one of them to the elusive fruit. But who’s going to get to eat the fruit once it’s down? No prizes for guessing that some sharing may be on the cards. 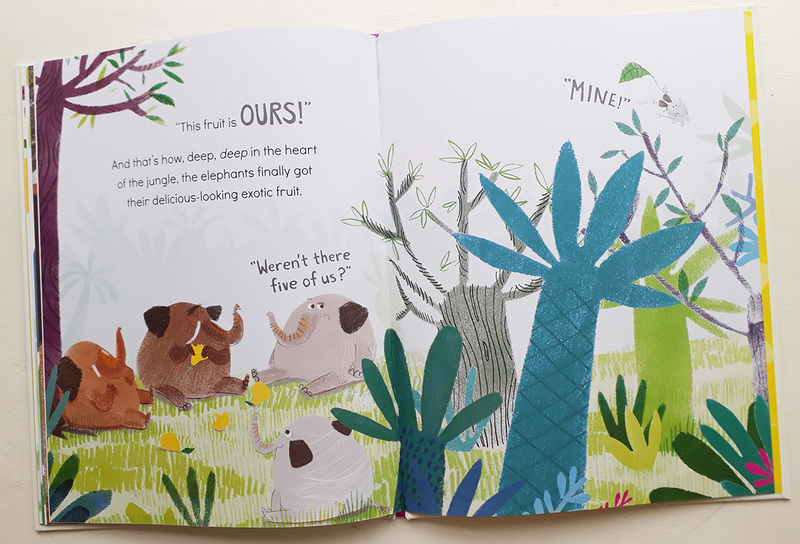 Allepuz uses a colourful palette and appealing textures in her artwork and these combined with her sweet story produce a book with charm and a bit of wisdom. 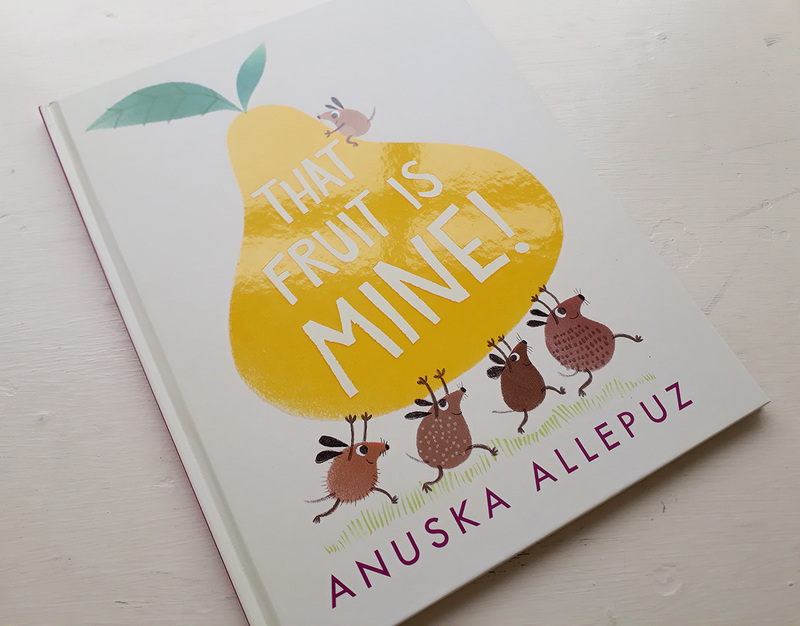 Anunska is taking part in the Walker Books Family programme alongside the World Illustration Awards Exhibition, with an Illustration workshop for families based on That Fruit is Mine! on Saturday 9th June at Somerset House.